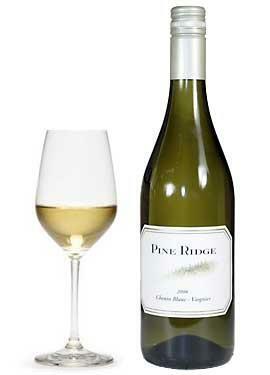 Unfortunately the Chenin Blanc Viognier blend I mentioned from my USA liquor store post was never tasted by yours truly. I brought it as a hostess gift and it somehow never seemed to make an appearance into my glass. Oh well. Can anyone tell me what I'm missing out on? 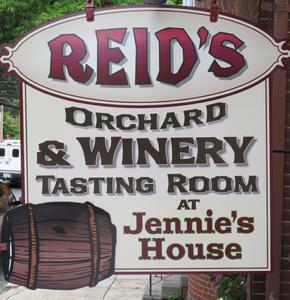 On my way out of Gettysburg I made one last stop at Reid's Orchard & Winery. 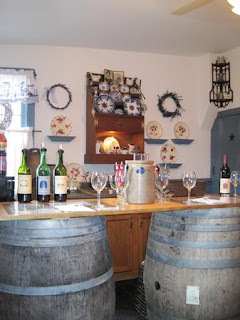 Since I was in downtown Gettysburg, I wasn't actually in the orchard, but instead in their tasting room at Jennie's House. Apparently this year has been super busy with tourists, so selection of wines to taste was low. Not to be deterred, I still had my go with threedifferent, very American, wines. This is made with a grape I am none to familiar with; Cayuga. Apparently it has trouble growing virtually anywhere but in PA, and here it does alright. This was a rich, oily, off dry, white, that I think would pair nicely with a creamy alredo pasta. Definitely different. 50% Sangiovese 50% Pinot Noir. This was definitley the star. Nice fruit flavors with black currant notes. Who would have thought to blend a big wine like Sangiovese with a lighter style Pinot Noir? I suppose it's because Pinot Noir isn't at its best in PA....just a thought. All in all it was an enjoyable experience. 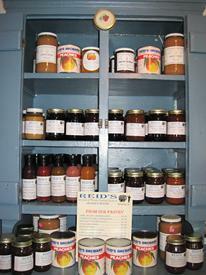 We learned that Mr. Reid tries to keep everything organic as possible, grows all of his own fruit and vegetables, makes to die for pumpkin butter (brought this home), and apparently is doing quite well for himself. Well done PA. Next time I'll have to revisit some of my old favorite Virginia wineries. Til then.